So you want to add a new canine member to your family but you do not know how your other dog will take it. Truth is, he might not be enthusiastic about the whole pet introduction idea- simply because he feels his territory threatened. However, there are ways to make him feel comfortable about the newcomer- perhaps even find a lifelong partner to play with. Introduce your dogs with confidence. Before we get started, there are two things you need to have in mind about dogs in general. One is that they are territorial creatures and won’t hesitate to defend their turf. Secondly, dogs communicate almost entirely via their sense of smell and you will use this strength to introduce the two dogs. The first thing you want to discover is how they respond to each other on the first encounter. A leash gives you control over the situation and prevents a sudden altercation between the two dogs. Your next step is to judge their temperament in each other’s presence. What is the instant reaction you get from both canines? Are tails wagging and faces full of curiosity? If so, they are eager to make each other’s acquaintance and your work here is done. However, if they are giving each other a stare down, teeth snarling and hairs raised, you have work to do. So read on. Separate them from each other so they both calm down. 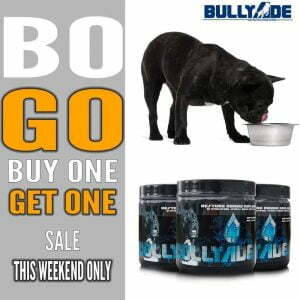 Your pooch will need a little more pampering since he feels his personal space threatened. This is your chance to use their strong sense of smell to your advantage. Let your new dog explore your home to get himself familiarized with it. At this point, your older pooch should be kept away from his sight. As the new dog explores his new home, he will also catch the scent of his soon to be canine friend. This home exploration should take about 20 minutes. Now it’s his turn to roam around. Obviously, he is already familiar with the surrounding, but he is super curious about the new scent left behind. He will sure bolt around like crazy, maybe even sniff out where the new dog is being kept. But do not let them come into contact with each other yet. This exercise should be repeated until both dogs are no longer curious of the surrounding. Then it will be a good time for them to encounter each other again. It is important that they meet again on a neutral ground. This way, either dog won’t have a turf to defend. So they both have to rely on their sense of smell to comprehend the new surroundings. Let them meet each other again. Both dogs will immediately catch each other’s familiar scents and this helps break the ice. There is a good chance tails will be wagging and are eager to get close to each other. If no fight breaks out, well done, you mediated the situation successfully. And both dogs can happily go back home to an environment they are both familiar with. The above pet introduction tips should work on both trained and untrained dogs. However, the success rate will differ with either breed’s temperament. But with some patience and consistency, you should be able to socialize a new dog to your older one. 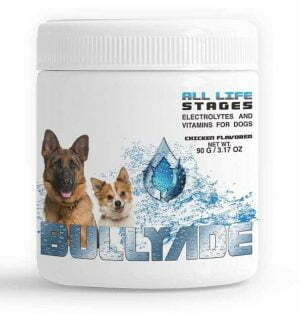 After you have gotten both pets introduced, let the enjoy a refreshing bowl of Bullyade. 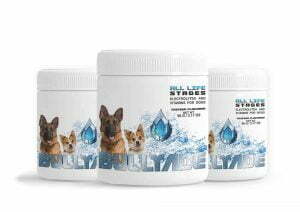 Electrolytes and Vitamins for dogs.